Welcome to La Vita House Library! 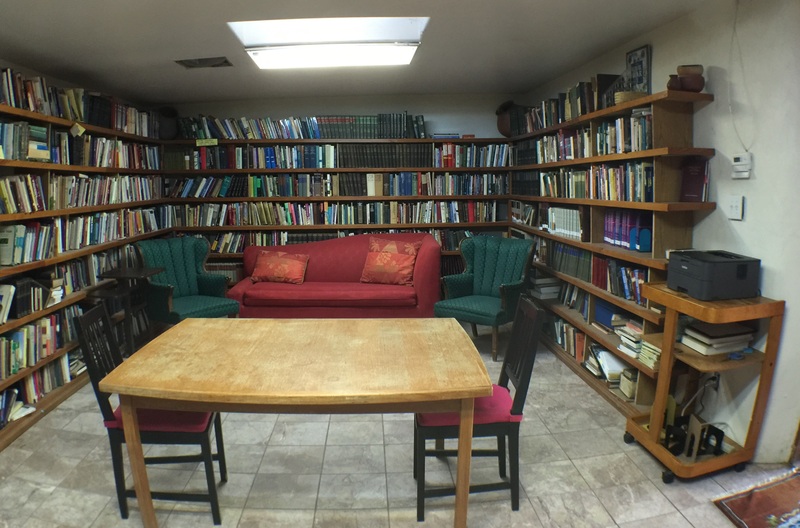 La Vita House Library is an arm of La Vita House: International Study Center for Faith & Culture. It is a special library which provides specialized information resources on a theological, historical, and cultural topics from a faith based perspective. The library has an on-site print collection of more than 6000 books, many of them scholarly theological resources of bible commentaries, reference works, and past and current works on cultural issues. The collection is house in a self-contained, quite building with computer and Wi-Fi. It serves the local religious and academic community. We provide safe and beautiful spaces where our diverse student-scholar community, and guests, can enjoy, reflect, explore, celebrate, and dialogue with those from a variety of viewpoints creating genuine relationships and facilitate the discovering of truth.